No long explanation needed here, eh? For me, the best thing was being able to tell my students, show them, that effort is sometimes rewarded; that diligence and persistence are our levers to move the universe. Bill and Jon managed to get the actual results from Ivan Pecel. 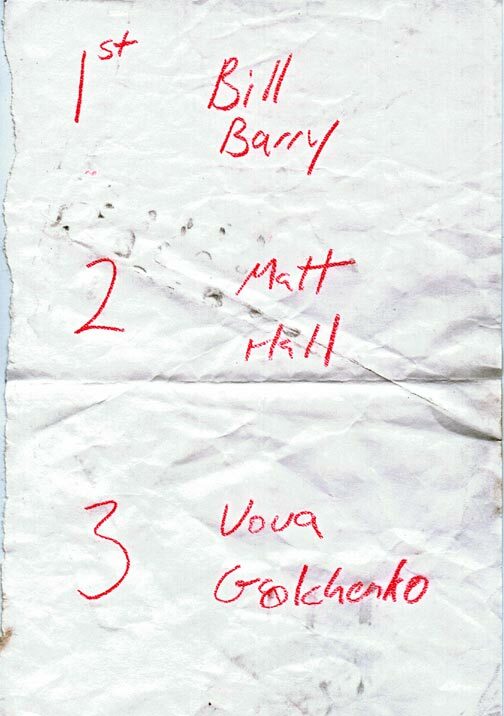 They kept the teams note, and they gave me the individual note from the judges. This note is what Ivan read that night. 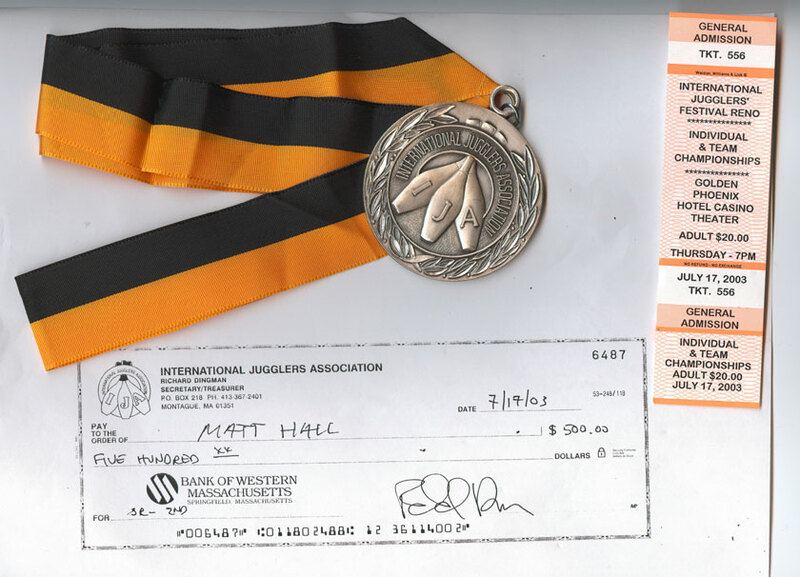 The silver medal, my ticket for the show that night that I ended up not needing because I made it to the finals, and a copy of the check that Craig Barnes gave me. I remember thinking to myself, "No way! We get money too!?!?"